GameAnalytics was founded in 2011 as a user experience, monetization, and engagement optimization tool. Headquartered in Copenhagen, Denmark, the company raised a $2.5MM Series B round from Sunstone Capital, Crunchfund and others in February 2013. GameAnalytics’ platform computes pre-defined metrics around engagement, conversion and revenue. It also tracks in-game events related to user experience-related churn catalysts. The company has developed SDKs for popular development environments, becoming an official Unity engine and Corona SDK partner. 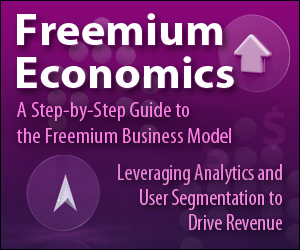 Although GameAnalytics started as a paid product, it became completely free in August 2013.